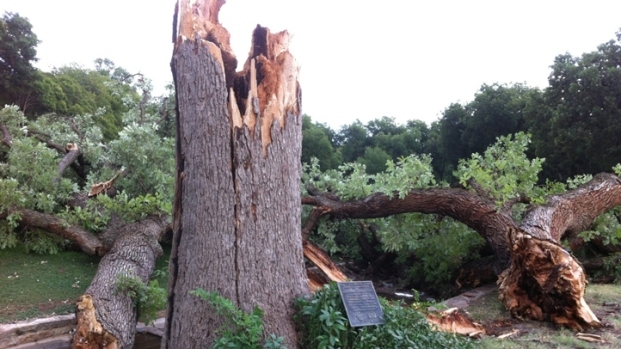 Cleanup is underway in Garland Wednesday, after strong storms ripped through the city Tuesday evening. The weather damaged structures in the city and brought heavy rainfall to the area. South Garland Baptist Church in Garland was one building in the path of destruction. 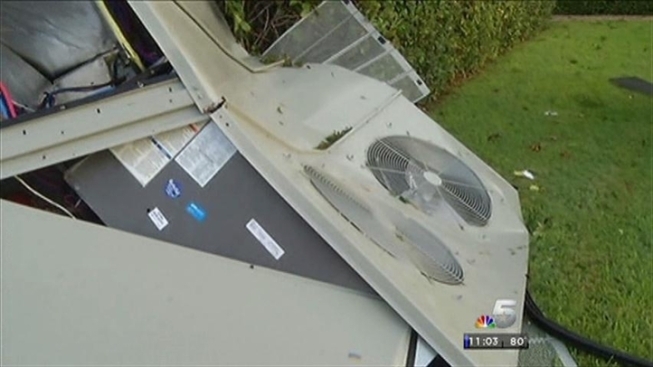 Two air conditioning units were ripped off the roof and the sanctuary's 65-foot steeple fell to pieces in the church parking lot. Members inside the 42-year-old Baptist church describe the storm pelting the windows. Children's ministry leader Joyce Still and her daughter Rachaele saw the sign ripped off, then what looked like a transformer blew up, and finally, the steeple toppled. They decided it was time to take shelter in the basement. Strong storms ripped through Garland Tuesday evening, damaging structures in the city and bringing heavy rainfall to the area. "Once we got downstairs, it was just quiet. And at that point, that's when I started, not freaking out, but realizing how scary it actually was," said Rachaele Still. When they surveyed the damage, other emotions came into play. "At first my heart kind of sunk, you know? I was taking pictures and when I went back and looked where the steeple used to be there was a rainbow and, for me, you know, that's just God's sign telling me it's going to be OK and we're going to rebuild. It'll be fine," said Joyce Still. The storm also blew soccer field bleachers about 100 yards into the church’s lawn. 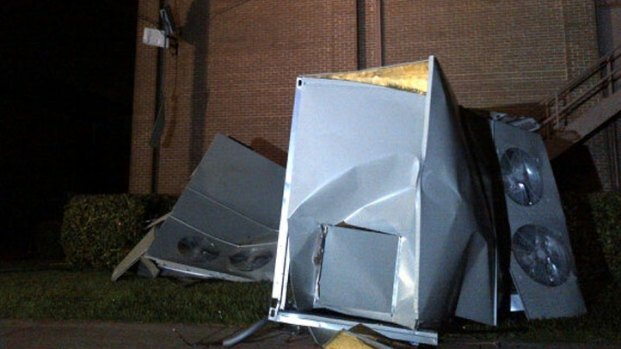 Less than two miles away, at the Philadelphia Pentecostal Church in Garland, the steeple also did not survive the storm. Volunteers at Centerville Road Church of Christ picked up tree limbs that snapped in the severe weather. Power crews are cleaning up poles and street lights and fixing transformers in the city. Members typically meet at the church on Wednesday nights for a service and mid-week meal and said the damage won't stop them. The pastor said they'll just gather on part of the property that's safe and less damaged.